You know that Vanna K is fit for a queen. 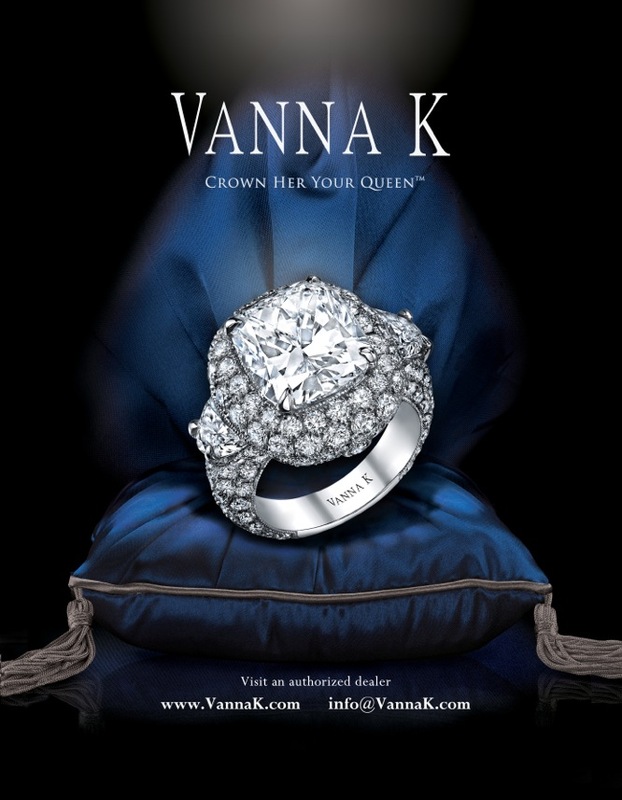 Now the rest of the world will know with the release of Vanna K’s new ad campaign! Many of the unique diamond engagement ring designs are inspired by royalty. These new advertisements, which will be released 2013-2014, convey the plush world of royalty. Our new ad will be featured for the very first time in Four Seasons Magazine, which is one of our favorite travel publications. It is placed in every Four Seasons hotel room in 35 countries around the world! Look for the ad if you are staying at one of these gorgeous hotels, which also offer you the royal treatment. More ads will be coming to luxury magazines across the globe, so keep an eye out for the royal look you’ve come to know in Vanna K’s designs.